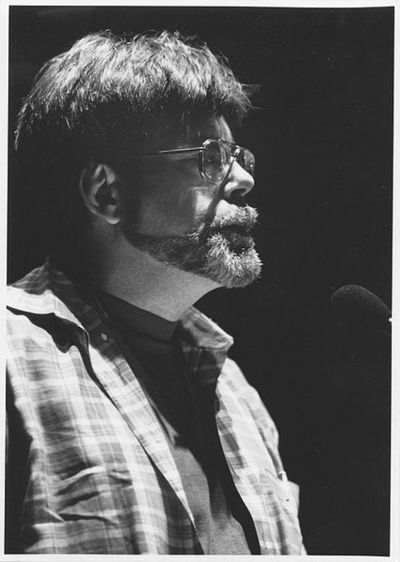 Superstar American horror author Stephen King has had published fifty novels, many of them best sellers. Which of them, in your opinion is the best? I've never actually read any of King's novels but I'm curious what all the fuss is about which is why I was asking the question. I've heard good things about The Stand and The Shining as well as the Dark Tower series. I have a love/hate relationship with Stephen King's writing, sometimes he releases some of the best plotting and character development I have ever read, other times it's the opposite. Stephen King has super-impressed me this year. My wife and I listened to the audiobook version of Under the Dome earlier this year, and I was blown away. It is not only the best Stephen King book I have ever read but it is probably the best book I have in the past decade, without exception. As a side note, please do not judge the book by the TV show of the same name. The TV show is pretty good, but has nothing on the book. I actually disagree completely with dgrwriting regarding Under the Dome, I thought it had the worst deus ex machina ending and that ruined everything that came before it for me. I'm really enjoying the show. I love the Green Mile, I think it's his magnum opus, and I also really like Needful Things, it's a bit of a cheesy, guilty pleasure. His earlier short story collections are also very good. Do you feel conflicted if you enjoy a true crime book?